Portugal, which is blessed with the chronology of the past and mesmerizing natural beauty, is one of the most admired traveling destinations all over the globe. 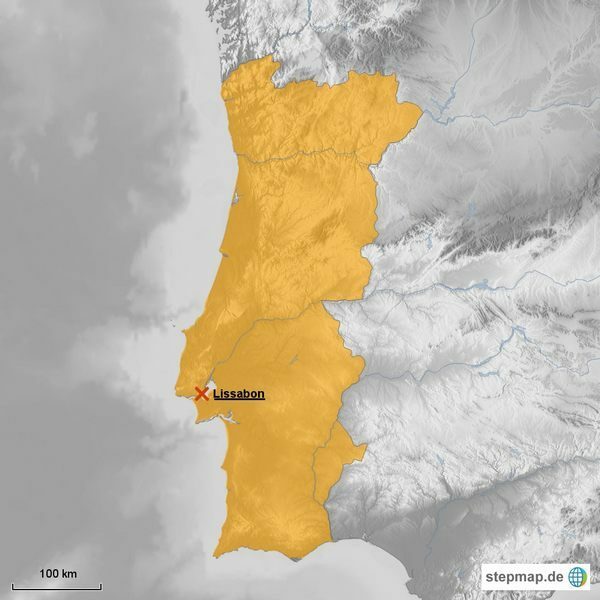 Portuguese has varied geography from plateau to beautiful and charming beaches, to farmlands and forests. Let’s view some of the best places you should not ever miss when you are planning for a vacation in Portugal. If you are an admirer of historical places, then Coimbra is one of the best places to visit. With beautiful Roman fortresses, the city is one of the most magnificent and radiant place you can visit in Portugal. Some of the famous places to visit in the city include Old Cathedral, Gothic Monastery of anta Clara-a-Velha and Joanina Library. Unification of nine volcanic islands, the Azores is a must watch destination located near Lisbon. Lustered with fascinating beaches, the islands will carry you away with the beautiful land and greeneries around it. Don’t miss the pleasure of fishing, diving, whale-watching and surfing in the greenish blue water of these islands. An archipelago of Portugal pseudo-named as Floating Garden of the Atlantic, Madeira is one of the natural beauty with green landscapes and flower gardens. The capital city Funchal is famous for historic churches and fortresses. Apart from these, there are resorts and restaurants which will entangle you in the beauty of the ocean. The best sightseeing places in Madeira include Laurissilva Forest, Orchid Garden, Garajau Natural Resource, along with numerous parks and gardens. Aveiro is the second largest populated city. One of the best destinations to visit in the Centro region of Portugal, Aveiro is known for the architectural churches, tombs, Sao Goncalinho Chapel, Convento de Jesus and monuments. The place is also famous for its beautiful landscapes, captivating sandy beaches, patterned moliceiro boats, gardens and parks. You can also enjoy the delicious cuisine, especially seafood for which Aveiro is famous. Monikered as the Museum City, Evora is a small city yet will definitely magnetize its visitors with the beauty and charms Evora offers. The city has well-kept chattels from the medieval era inducing the large number of monuments and architecture. Evora is also a UNESCO World Heritage Site. Some of the must visit places in Evora are the Cathedral of Evora, Holy Spirit College of the Order of Christ, Palace of the Dukes of Cadaval and Roman Temple of Evora. Considered as one of the romantic destinations, Porto is the second largest city in Portugal. With the UNESCO’s World Heritage Site Wheretripeiros, located in historic centre Ribeira Porto has historical urban plazas famous as house of commerce. Lisbon is not only the capital city of Portugal, but also the largest city which is stretched with the Tagus River. Lisbon is famous for its medieval architecture and traditional music. This city is one of the must see destination of Portugal plus don’t miss the St. George’s Castle, bridges and gothic cathedrals. Sintra is a small town situated under the foothills of Sintra Mountains. The city is one day away from Portugal’s capital city. Sintra is famous for its castles and memoirs of Neuschwanstein, Castle of the Moors and Pena’s Palace. A Western Portugal centre region known as Obidos is safeguarded with walls in all the four sides. It is one of the destinations for those who love to walk and watch the places. With narrow street lines, the city is filled with street shops and cafes. The magnificent place has many medieval castles, gates and historic places. Attractive beaches, photographic towns, ample of historic places, what else a travel lover need? Algarve is one of the most affordable places for any visitor. With lush green landscapes, wide beaches, orange groves and traditional villages are the specialty of this region. You can visit Tavira and Silves for the Renaissance monuments, bridges castles and Sandstone Castle, respectively.